During the press event NVIDIA hosted at Gamescom 2017, Final Fantasy 15 Windows Edition has been revealed, thus confirming that the latest JRPG by Square Enix will also arrive on PC, after the console releases on PS4 and Xbox One. The launch window is set for the first months of 2018. Jeff Fisher, Senior Vice President of the GeForce Business Unit, on stage, reiterated the importance of the GeForce brand in the growth of the video game industry with today’s 200 million players using a GeForce card. 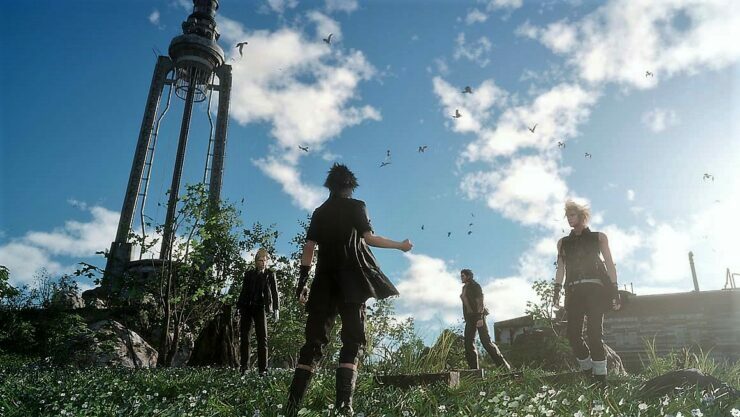 In that sense, Hajime Tabata, the Game Director of Final Fantasy XV, announced on the NVIDIA stage that the Luminous Engine will support the NVIDIA GameWorks suite, which will improve and make the PC version of Final Fantasy XV more detailed, which will also support DirectX 12. As you can see in this video published at the end of this news, NVIDIA has revealed that Final Fantasy 15 Windows Edition will be released in early 2018, bringing a number of technical improvements to the console version of the game. Thus, the PC version of Final Fantasy XV will feature 4K resolution textures and Dolby Atmos support. As for GameWorks, we will have NVIDIA VXAO, NVIDIA HFTS, HairWorks for realistic simulation of hair, Turf for increased grass density, Flow for fire and smoke simulation. Additionally, on PC you will be able to play Final Fantasy XV even in first-person view. Final Fantasy 15 Windows Edition will release on PC during early 2018, landing on Windows 10, Steam and Origin. You can check out our review of the console version here. Final Fantasy XV is a true return to form for the series. The main story of the game is passable, but surpassed by the fantastic tale of Noctis and his three friends, Gladiolus, Prompto and Ignis. The world they live in, the interconnectivity and just how alive it feels makes for a great game, warts and all.